Canadians spend a lot of their time on social media. That means you, as the business owner, need to step up your game and offer people not only a great website and services, but also meaningful content and communication between you and everybody else online. Many of us worry we’re not using our social media for our businesses correctly, or at least in a way that’s rewarding. That’s why today we’re going to explore how best we can start sharing and posting to our business’s social media accounts in a more effective way. Here are some tips. Before you go posting your content online, you need to figure out the goals you want to achieve first. Many people, unfortunately, tend to use social media for self-centered reasons, giving little to no thought to any other outcomes. That’s why you, as a business owner, need to pursue a broader set of goals. That way, your time spent posting on social media is far more productive. It can be as simple as “I love this quote and want to inspire other people,” or “This is a serious development in terms of privacy online, I need to inform others so they stay safe”. Whatever goals you want to achieve, you need to identify what those goals are, and then conduct your online activity accordingly. Who are you targeting as far as audience goes? What kind of a reaction do you want from this content? On which platform do I want to share this content? There’s nothing more cringe-worthy than catching sight of an inappropriate joke or photo on LinkedIn, or having to scroll past an essay about the value someone ought to bring to their employer on Facebook. At this point in time, every social media platform is unique in the way its content is presented. What’s deemed as appropriate for one platform is completely unsuitable for another. You may want to produce unique content per platform, in this case. For example, feel free to use Instagram for jokes, memes, and photos with your close friends, but use LinkedIn to post and share stories or articles related to topics that exist within your profession, and use Pinterest to promote the latest products you have in stock. Whether it’s the font or colours used in your logo or the things you say, you need to be consistent and even persistent in what and when you post and share. It’s all too easy to say that a post you’ve recently shared is not successful in the least based on the engagement factor. Don’t feel disheartened though. Instead, consistently post on the same topics over a period of time and also be persistent about it, even when and if your posts receive little to no engagement. This is what we refer to as creating ‘earned media’—i.e. you have to earn the engagement in your posts by putting in the work and effort of posting. Performing in these two ways is the best thing you can do to grow your brand awareness online. By this we mean you should only ever share and post content that reflects your business brand’s values in the best light. It does not mean sharing your most personal, private information involving your business. Even if that information seems innocuous such as vacation photos, you should really avoid posting that kind of thing on your business’s social media especially—that way, you won’t draw unwanted attention since everyone (and we mean everyone) can see what you post online. Plus, you don’t have to share such personal information in order to share a joke for a laugh or build upon a conversation within your professional circle. Being stingy also doesn’t mean you need to post every single minute of every single day, or for that matter only posting once and then never again for 2 years in a row. There has to be a good balance between the frequency of your latest posts and the amount of content your followers are willing to accept. 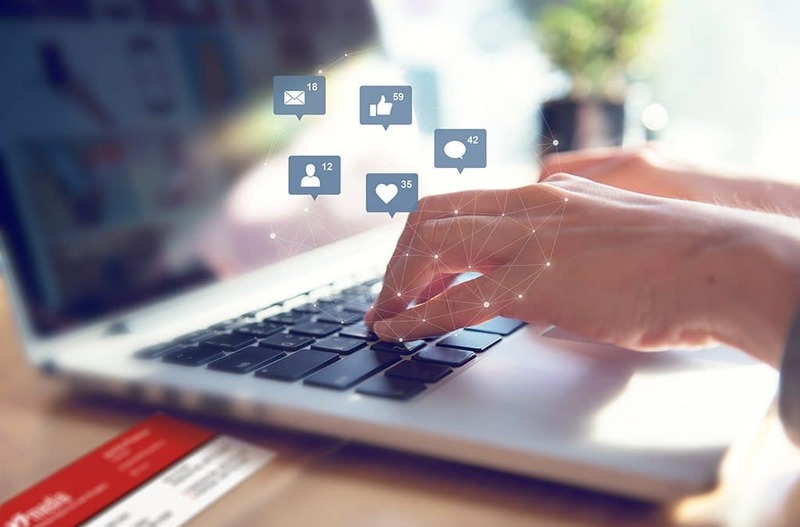 Having a plan of what you want to post, as well as understanding the analytics tools each platform may contain (Facebook for example contains Insights, which are visible for business page owners), can also help you determine the best times to post new stuff. This tip also correlates to tip 2, about using each platform uniquely. Something that may work on Facebook will not be as attention-worthy on LinkedIn. Being stingy can help you differentiate your content across the platforms you intend to use and keep people interested in what you have to say, without overwhelming or underwhelming them in the process of promoting your business to them. Tip 5: Keep it up to date…especially on your website. By this we mean keeping it up to date in terms of the logo and images you present across all platforms. Having your logo within the visual content you share can help create a greater brand awareness about you, especially when people share your content across their own social media accounts. What visuals you do share need to be as consistent as the content itself that you’re sharing. If you don’t keep any of your social media or even your website up to date (i.e. upgrading to the latest versions), then don’t bother with these tips until you do. Your website really is the backbone of how people can find you online in the first place! Nothing quite kills a person’s interest if they admire your social media accounts only to visit your website for more info and realize it’s not nearly as sharp or as fast. Now that you’re a little more enlightened about social media, how about ensuring it’s accessible on your website? If it needs a do-over or you need to catch up with the times with a new site (we’re talking way before handling the social media part), then give us a call at V3 Media. If you want more feedback on your social media or your website in general, why not chat us up in a one-on-one consultation? We’re more than happy to give you some input on how best you can improve your business’s online presence.